On January 14th, President Obama announced new categories of legal Cuba educational travel, they went into effect immediately and they have not been affected by President Trump's tightening on USA Cuba travel. Right now, accredited universities and colleges no longer need to apply for a Specific License for embarking on Cuba educational tours by their students, professors, faculty and staff. It is the right moment to take your students to Cuba and make the beautiful Caribbean island your classrom. We can help! Traveling to Cuba for educational activities on Cuba cultural trips from USA offers the rare chance to explore Cuban UNESCO World Heritage Sites, picturesque villages and vibrant urban cities. All while advancing people to people exchanges in which US visitors to Cuba absorb side by side with Cubans the mysterious culture of this wonderful island. 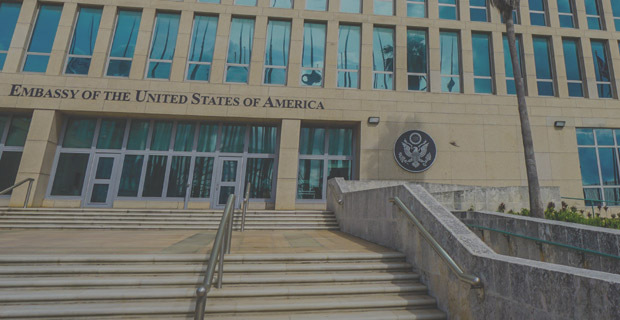 Cuba Educational Tours for US Education Professionals, K12 Teachers, University and College Professors, Staff and Faculty and US citizens interested in learning about Cuba’s Education System. From June 13 to June 20, 2020. And remember every person you invite will also receive a $100 discount! Authentic Cuba Travel in coordination with Cuba’s Teachers Union and Cuban educators warmly invites teachers, professors, and educators from Canada, US and all over the world to join this official Cuba education tour taking place From June 13 to June 20, 2020. Cuba is a paradise lost in the time, beautiful beaches, beautiful landscape, old cars, old buildings that can take you to the most wonderful adventure and above all the kindness, friendship and beauty of his people will make you love it. It is also one of the world's last bastions of communism with a fascinating modern history. Cuba's relative political isolation has prevented it from being overrun by tourists, and locals are sincerely friendly to those who do venture in. Authentic Cuba Travel is pleased to invite US education professionals, K12 teachers, university and school professors, staff and faculty and other US travelers to join our cultural and educational tours to Cuba that will take you into the heart and soul of the authentic Cuba and help those conducting researching on Cuba’s education system find answer to pressing questions. From Cuba’s present political system to its rich history, you will experience Cuban culture first-hand during this Cuba education tour. Veterans of the Revolution, doctors, school teachers, students and farmers all will share their stories and answer all your questions. You will be treated with kindness and warmth the likes of which you will rarely found in other travels. It is truly a life changing experience. Cuba is extremely safe by any world standards, and the average visitor has no reason to worry about personal safety on the streets, in the hotels, at the beaches or any other place a traveller might visit. Authentic Cuba Travel staff has years of experience in the Cuba travel industry and with North Americans travellers. 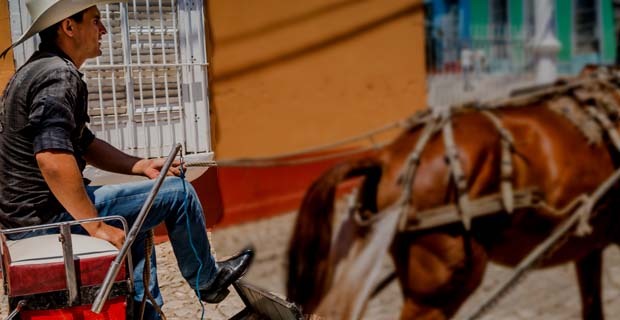 If you really want to visit the real Cuba that lies beyond the confines of all-inclusive full-packed tourist resorts, this Cuba discovery tour is for you! Please, check the day-by-day itinerary below. Welcome Aboard! Guided tour of Old Havana, a UNESCO World Heritage Site. Travel to "The Pearl of the South" Cienfuegos. Guided tour of UNESCO World Heritage Site, Cienfuegos Centre. Travel to colonial Trinidad, a UNESCO World Heritage Site. Tour of Instituto Superior de Arte (Cuba's Arts School). Visit to Primary School "Angela Landa" in Old Havana. Visit to the provincial School of Painting of Trinidad. Guided tour of Cuba's Museum of Fine Arts. Guided tour of Havana's Literacy Museum. Tour Cojimar fishing village, Hemingway's favourite hangout! Explore Finca La Vigia, where Hemingway lived for over 20 years. Private visit to Lizt Alfonso Ballet School. Tour Havana's Scale Model, guided by arch. Miguel Coyula. Visit the prestigious Cuban art gallery "Maroya". Visit Elementary School “Angela Landa”. Meeting with the principal of the school Prof. Sonia Garcia. Tour of the school. Meeting with Cuban teachers and students. 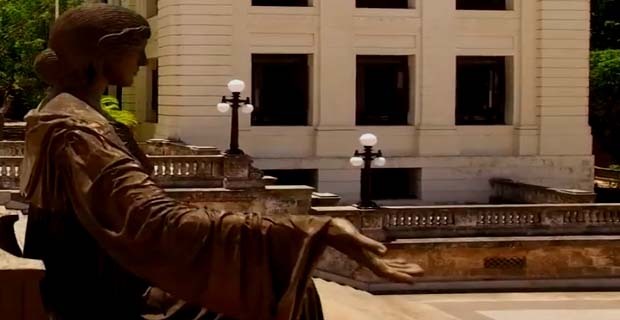 Guided tour of Cuba's National Art Schools. Meet with Cuban art students and professors. The schools were designed and built by architects Cuban Ricardo Porro and the Italians Roberto Gottardi and Vittorio Garatti from 1961 to 1965, in the former affluent neighbourhood of Country Club Park (today known as Cubanacán), specifically on the grounds of the Havana Country Club golf course. Enjoy Afrojazz, Cubajazz and Sonjazz at Club La Zorra y El Cuervo, Havana’s most famous Jazz club. The club features great performances by island bands and soloists! The Sugar Mill Valley is one of the most photographed landscapes in Cuba. 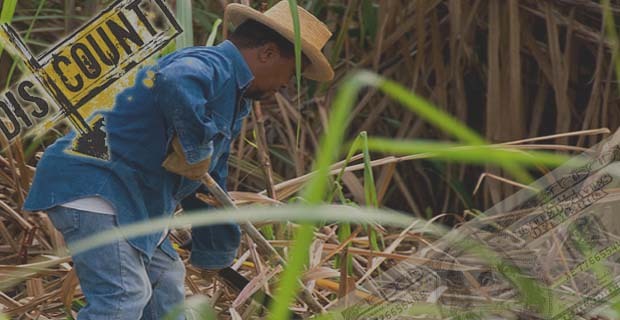 The monumental value of the 65 sites that form the valley increases the interest to visit this place, where important vestiges of the island's sugar colonization still survive. Day 1. Saturday 13 June 2020. Cuba greets its visitors with strains of exotic rhythms such as salsa and rumba emanating from every corner, and an aquamarine sea laps the white, palm-fringed beaches all around the island. Cuba, with its mix of Spanish and African roots, is the largest, least commercialized, and most exciting island in the Caribbean. 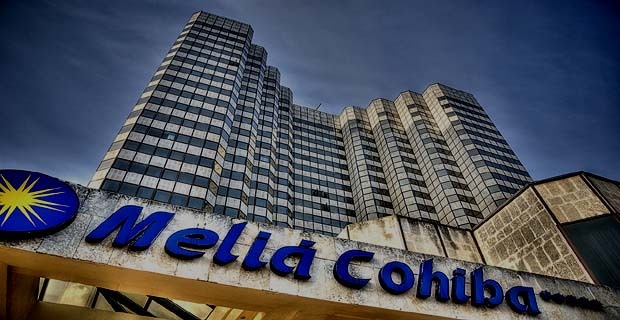 Private transfer to your hotel Riviera (Economic Package) or Melia Cohiba (Premium Package), both facilities located in Vedado, Havana's Cultural Center today. Day 2. Sunday 14 June 2020. Morning: visit to Finca La Vigia, a hilltop villa 20 kilometers east of Havana, where famed author Ernest Hemingway lived from 1939 to 1960. It is here where the writer completed some of his greatest works, including The Old Man and the Sea, Across the River and into the Trees, and Islands in the Stream. Finca Vigía has made both the World Monuments Fund List of 100 Most Endangered sites, and The National Trust for Historic Preservation’s 11 Most Endangered Places. Lunch in Cojimar fishing village. 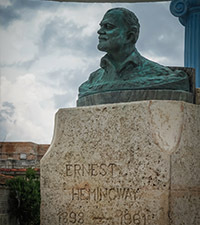 Tour around Cojimar fishing village, where Hemingway kept his boat Pilar. The writer is remembered by the town with a small gazebo that encircles a commemorative bust, sculpted from the melted down propellers donated by local fishermen. Afternoon: by guided walking tour of Old Havana, UNESCO World Heritage Site. Day 3. Monday 15 June 2020. Morning: visit to Workshop School in Old Havana. High school graduates enroll in this institution to learn the arts and crafts necessary to authentically restore the ancient buildings of Old Havana. The school teaches young people archeological and restoration work that helps preserving the heritage and cultural wealth of Old Havana. Tour the school and get engaged with students in the different workshops such as Glass work, Carpentry, Iron work and Restoration. Exchange with professors and students. Followed by visit to Primary School “Angela Landa”. Exchange with teachers and students to learn Cuba’s primary education level. Tour the schools and enjoy educational and cultural activities by students. Meet the principal of the school Prof. Sonia Garcia. Tour of the school. Lunch in La Mina restaurant where you can enjoy traditional Cuban dishes and live music! Afternoon: visit to the Lizt Alfonso Ballet School founded in 1991. Lizt Alfonso’s choreographies are dance and music of a kind no one else creates: a seamless fusion of Spanish classical dance, ballet, flamenco and Afro-Cuban dance. Followed by: visit the Museum of Fine Arts (Cuban Collection) where we see the evolution of Cuba's visual arts over the last 300 years. The collection accounts for the richness of our Spanish, French, Chinese, African cultural roots. Day 4. Tuesday 16 June 2020. Morning: guided tour of Cuba's National Art Schools (ISA). ISA professors are all active musicians, dancers or artists. Each faculty in the arts provides a combination of theory and practice designed for students serious about pursuing artistic achievement through concentrated study. Study at the Institute is comparable to conservatory work in the United States. This is a great opportunity to exchange with the new generation of Cuban artists. Meet with students and teachers. We are now "leaving" Havana and entering Fusterlandia, the studio, residence and wild kingdom of José Rodriguez Fuster, one of the most important Cuban ceramists and painters today. Lunch hosted by Jose Fuster. Afternoon: visit to the Literacy Museum in the Liberty City neighborhood of Havana. Day 5. Wednesday 17 June 2020. En route, we will visit Cienfuegos city. Cienfuegos is the first, and an outstanding example of an architectural ensemble representing the new ideas of modernity, hygiene and order in urban planning as developed in Latin America from the 19th century. This countryside exploration trip will give participants insights on how the Cuban education system works in different cities of the country. The colonial town of Cienfuegos was founded in 1819 in the Spanish territory but was initially settled by immigrants of French origin. It became a trading place for sugar cane, tobacco and coffee. Situated on the Caribbean coast of southern-central Cuba at the heart of the country’s sugar cane, mango, tobacco and coffee production area, the town first developed in the neoclassical style. It later became more eclectic but retained a harmonious overall townscape. Among buildings of particular interest are the Government Palace (City Hall), San Lorenzo School, the Bishopric, the Ferrer Palace, the former lyceum, and some residential houses. Visit to Palacio de Valle upon arrival. The eclectic building was erected at a cost of a million and half pesos. French, Arabic, Italian and Cuban artisans worked with marble, alabaster, brass, glass and ceramic imported from Spain, Italy and United States. The entrance is primitive Gothic style and leads to a dining room of Mudejar influence, which imitates the famous Patio of the Lions, of Alhambra, in Granada. Afternoon: guided walking tour of Cienfuegos Historical Center. Now we journey on to the historic city of Trinidad and check in at all-inclusive Costa Sur hotel. You'll have time for dinner and a swim in the warm waters of the Caribbean Sea. Day 6. Thursday 18 June 2020. Morning: visit to the Academy of Painting “Oscar Fernandez”. Meet with the Principal and teachers to learn about the school curriculum and enrollment criteria. Tour the school and exchange with students in the different workshops. Visit to a Maternity Home. Since Cuba places special emphasis on maternity and infant care, expectant mothers with high-risk pregnancies or other special needs can stay at a maternity home where an on-duty nurse lives and is available 24-hours. The most common reasons for going to a maternity home are the need for additional nutritional supplements, the risk of carrying a low-weight baby and carrying twins. A total of 209 maternity homes exist throughout Cuba (PAHO, 1998). Afternoon: guided walking tour of UNESCO World Heritage Site, Trinidad’s Historical Center. Trinidad is an outstanding example of a colonial city. It has maintained its historic core, featuring the highest percentage of surviving antique buildings and public squares and bringing together architectural, historic and cultural elements of great value. The city is representative of the colonial human settlement and the Valle de Los Ingenios is testimony to the development of the sugar industry. We will stop at a mirador (lookout) over the Sugar Mill Valley, designated by UNESCO as a World Cultural Heritage Site in 1988, it constitutes a sort of triangular plain covering some 250 square kilometers and includes the San Luis, Agabama-Meyer and Santa Rosa valleys, besides the coastal plain of the south delta of the Manati River. Day 7. Friday 19 June 2020. Morning: free time to wander the streets of historical centre or enjoy the beach. Afternoon: transfer back to your hotel in Havana City. Group check in at Riviera Hotel or Melia Cohiba Hotel. Day 8. Saturday 21 June 2020.